5 stars on 36 Google Reviews. 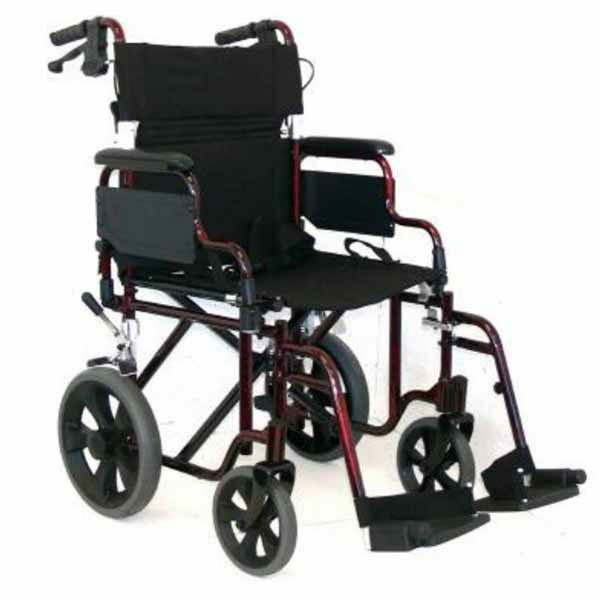 This Folding Deluxe Transit Wheelchair is made from a lightweight aluminium construction powder coated folding frame. 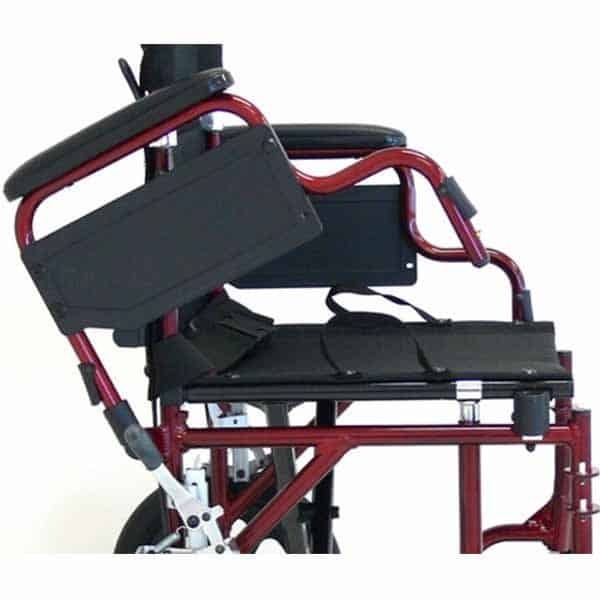 This Deluxe Transit Wheelchair Back rest can be fold down, and the armrest can be lift up or can be removed. 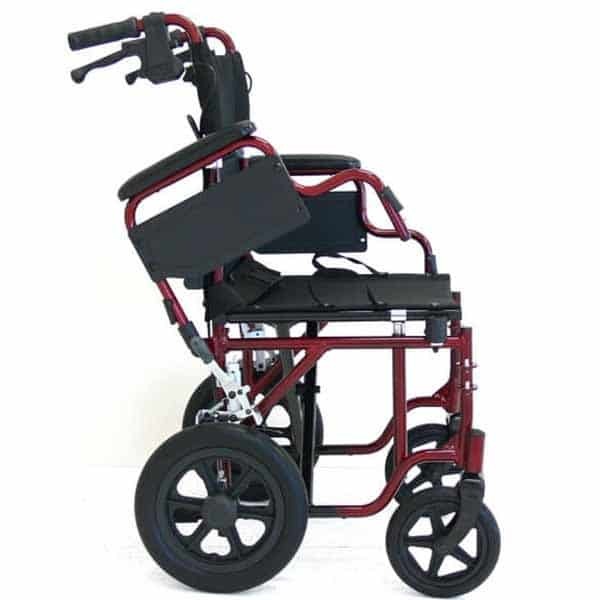 This Folding Deluxe Transit Wheelchair has a attendant rear control hand breaks. 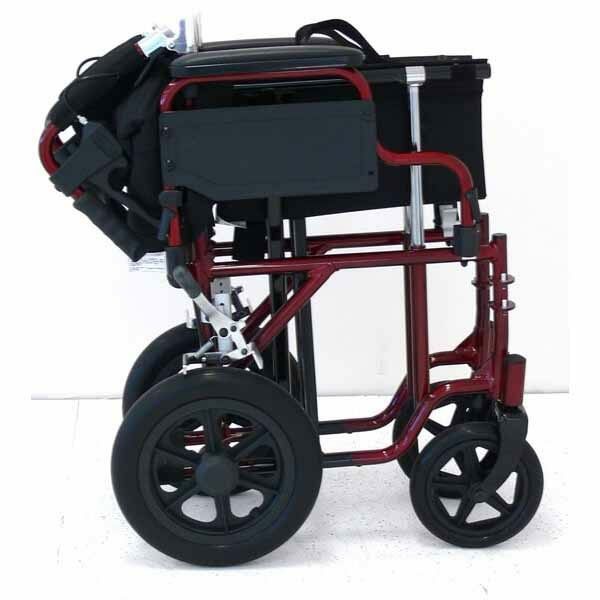 This Folding Deluxe Transit Wheelchair has been specifically designed to be lightweight aluminium construction powder coated folding frame, making it easy to both store and transport. 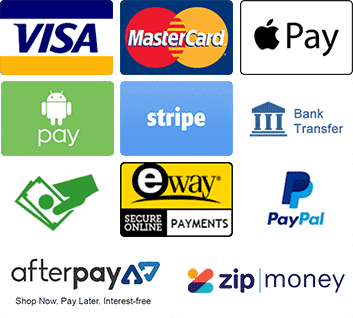 It has a number of features which accommodate this purpose. The transport chair has a compact design, with a half folding back and cranked push handles which assist to reduce storage space. It is available in a Flame crackle pattern red and blue in colour. It is also extremely easy to lift as a result of its lightweight nature. 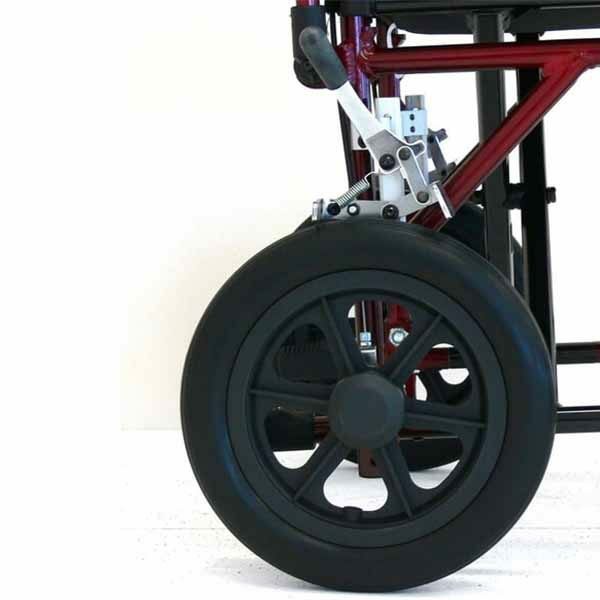 Having puncture proof solid fixed 30cm (12″) rear wheels and also puncture proof front 8 inch front castors. The chair is suitable for both indoors and outdoor use and also provides its user with a high level of maneuverability. The chair’s wheels, as well as its strong nylon canvas seat mean that the chair is durable, easy to care for and easy to clean. 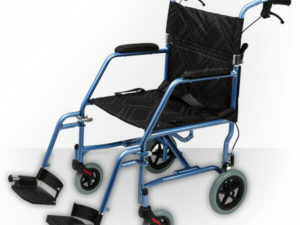 Please also check out our other Wheelchairs to compare.